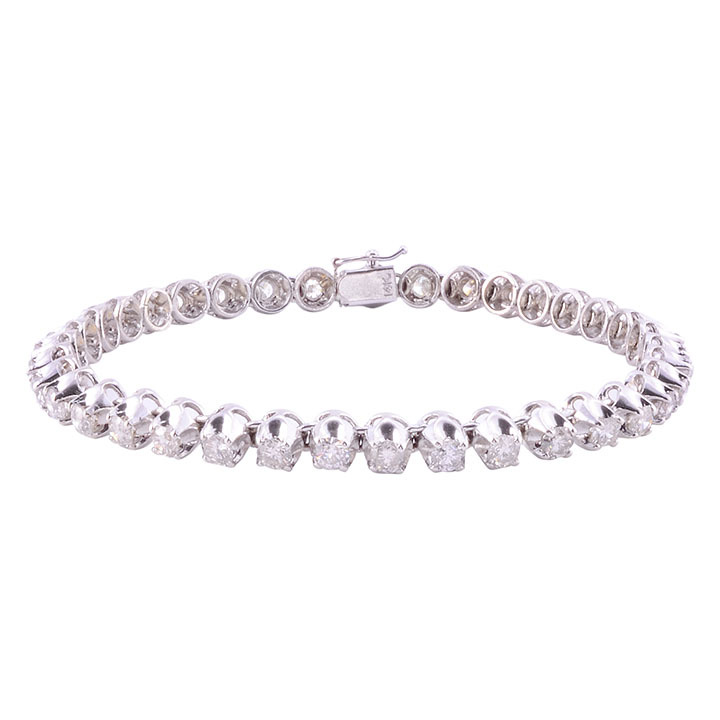 Vintage 5.50 CTW diamond tennis bracelet, circa 1950. 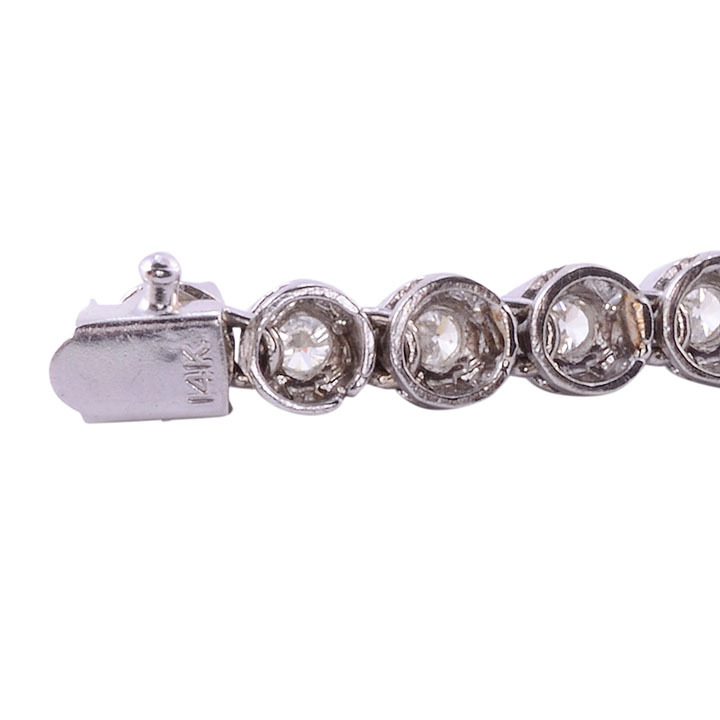 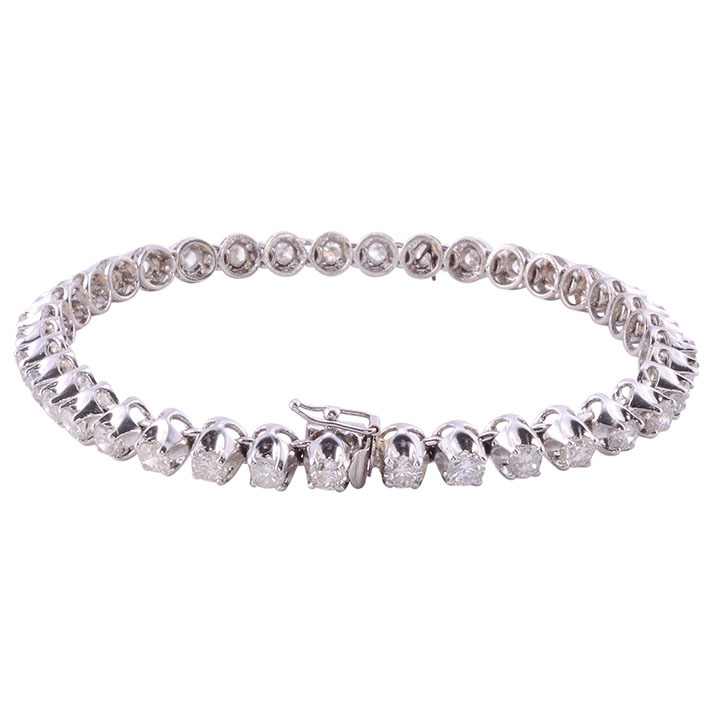 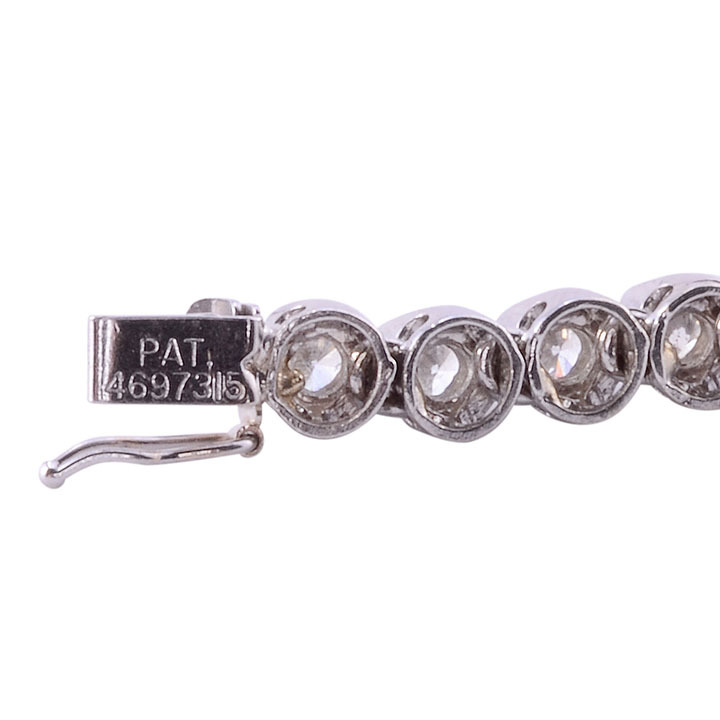 This 14 karat white gold bracelet features 36 round brilliant diamonds at 5.50 carat total weight. 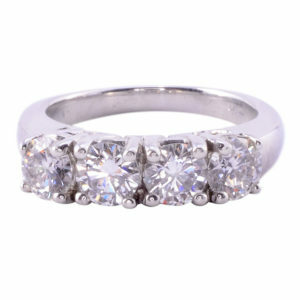 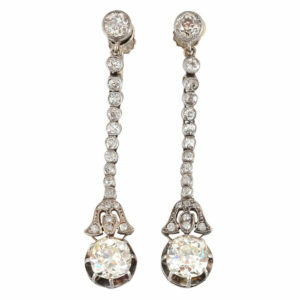 The diamonds have VS1-SI1 clarity and G-H color. 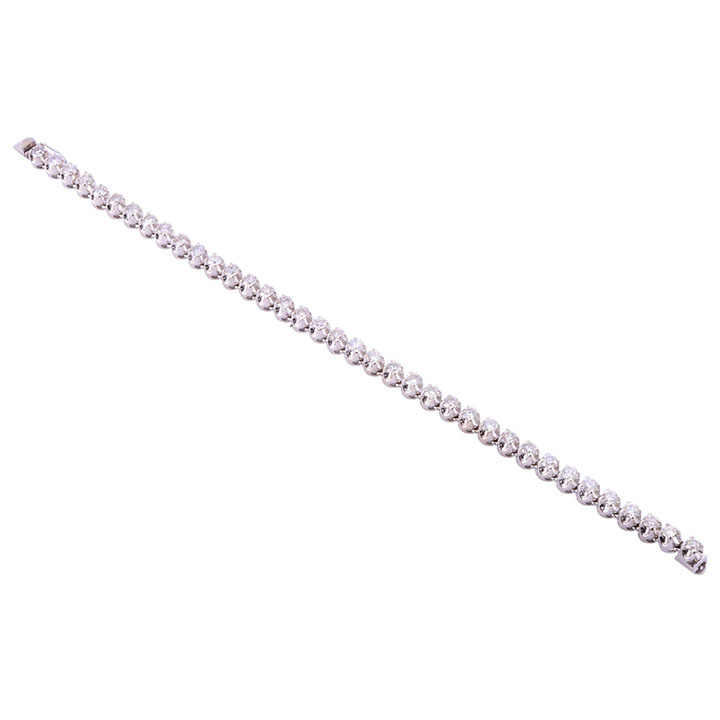 This bracelet is 7.5″ long.